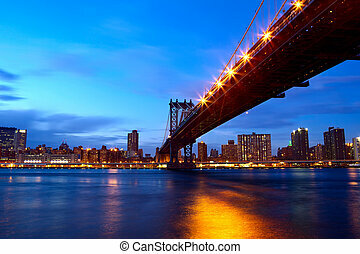 New York City Manhattan Bridge over Hudson River with skyline after sunset night view illuminated with lights viewed from Brooklyn. 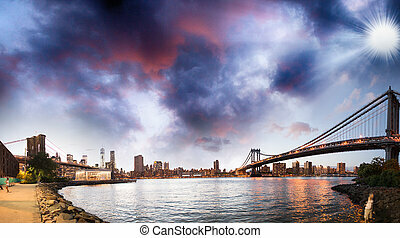 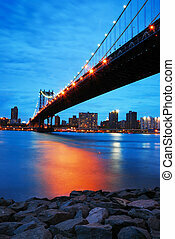 New York City Manhattan bridge and Manhattan skyline at dusk. 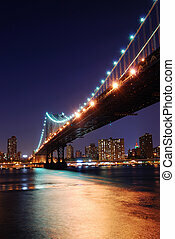 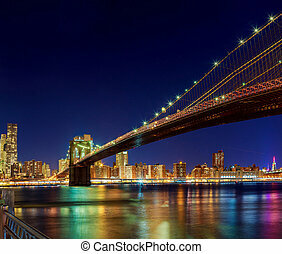 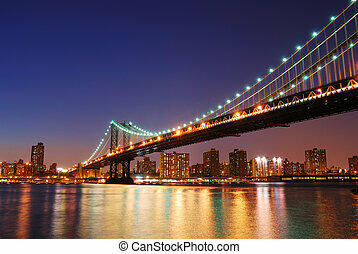 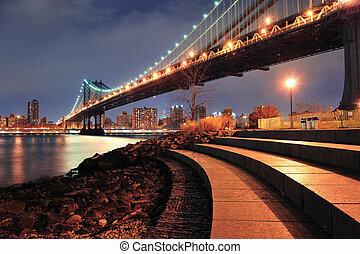 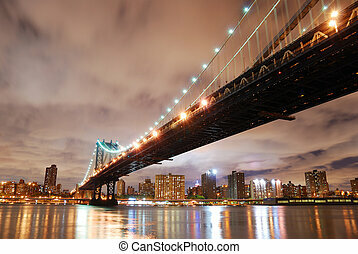 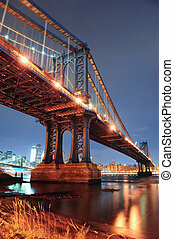 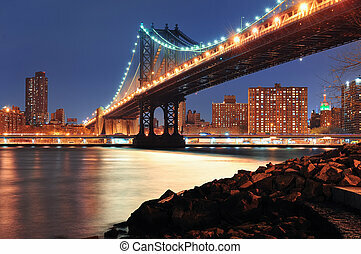 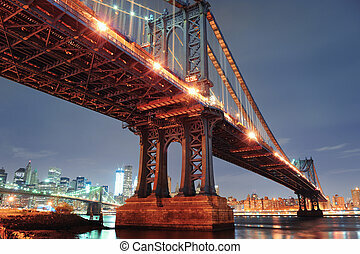 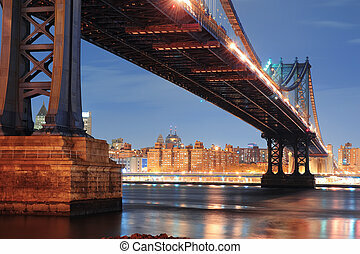 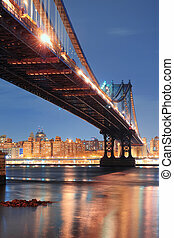 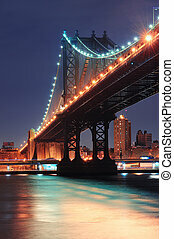 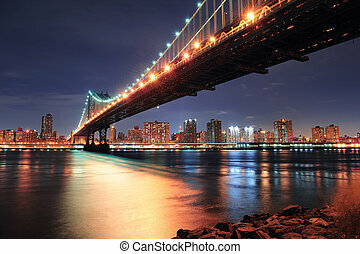 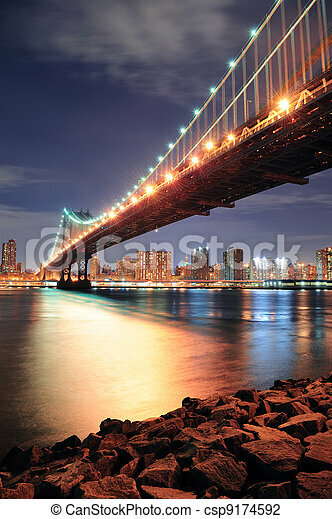 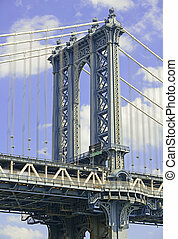 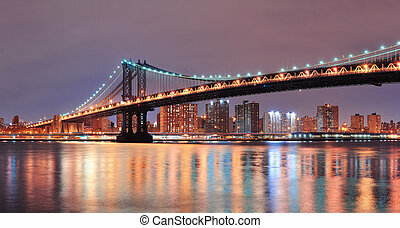 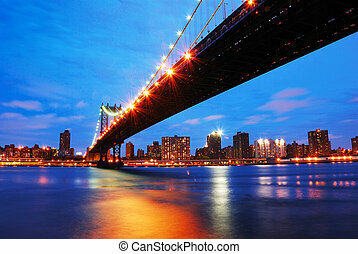 New York City Manhattan Bridge with city skyline at night illuminated over Hudson River. 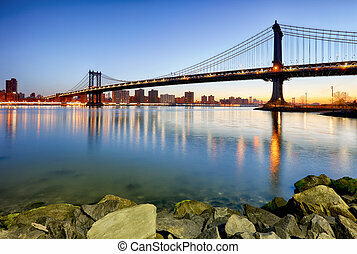 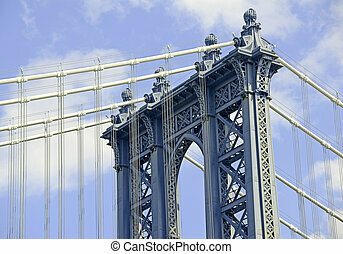 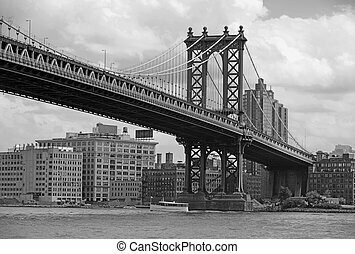 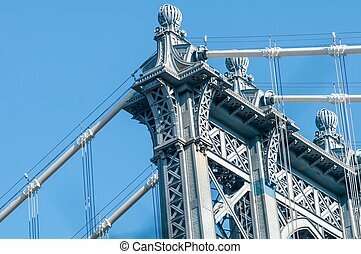 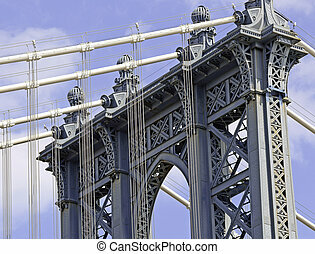 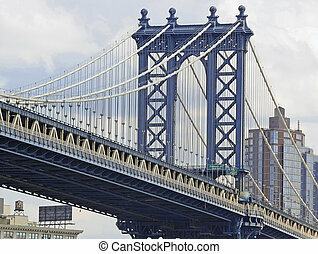 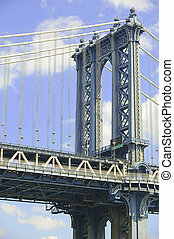 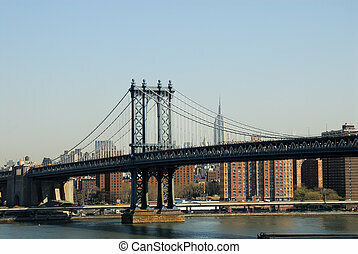 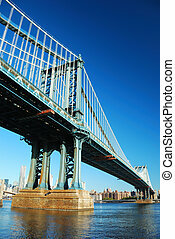 New York City Manhattan Bridge with skyscraper skyline in the morning over east Hudson River.